We spend all our lives wondering who we truly are. We make mistakes, experiment, change careers, say goodbye to old friends and make new ones, laugh, cry; hoping to be one step closer to finding ourselves. But sometimes we forget that we don’t need to strive to be one type of person: we can be many things, we can be whoever we want to be. 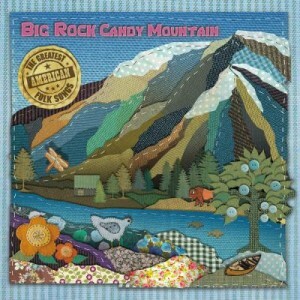 I was recently given the “Big Rock Candy Mountain” CD, which is full of the greatest American folk songs. As I looked at its case, I noticed that the vocals were done by Catherine Britt and Jay Laga’aia. Even though I’d never heard of Catherine, I definitely knew who Jay was. He’d played Elijah on the soapie ‘Home and Away’, and been a regular on the children’s program, ‘Play School’. I’d always thought that he was such a versatile entertainer, alternating between acting and singing; you could just tell that he loved everything he did. Although the CD wasn’t my type of music; Jay’s smooth, calming voice was very nice to listen to. Both Catherine and Jay did a marvellous job at their renditions. As I listened to the CD, it got me thinking about how people view themselves. As a stay at home mother, I know the stigma that comes with me being at home. I’m seen to be ‘lazy’, ‘unintelligent’; if anything, not much of a provider to the family. But I know I’m not any of those things. I’m a loving, caring mother who wants to see her children grow up. But lately I’ve been on a journey to find myself. For 5 years, I’ve done nothing but care for my 3 children and I’ve been yearning to do something for me. When I was 5, I wanted to be a Singer. When I was 11, I wanted to be a Web Designer. When I was 17, I wanted to be a Psychologist. But today, at 24 years old, I AM a writer and I’ve never been so happy. You might be wondering how I got to this stage though… how did I realise that I wanted to be a writer? Well, when I started this website in April last year, I wanted to help other parents. I wrote about my thoughts on parenting, so others knew they weren’t alone in their experiences. Hence, the name, ‘Inside a Mother’s Mind’. Then a few months ago, I decided to change the direction of the blog; I wanted to write for everyone, not just for parents. I started writing about personal development to help inspire, motivate and encourage others to lead better lives. But little did I know, I would be the one to be inspired. For the first time since my Psychology degree, I truly feel alive. And it’s not just because I’ve found the right career, but because I’ve found myself. I am more than a mother to my children, more than a wife to my husband, more than a sister, more than a daughter, more than a friend. I am the sort of person who writes for hours, if it means changing someone’s life. I am the sort of person who enters a writing competition just to challenge myself. I am a mother, wife, sister, daughter, friend; AND a writer. Don’t sell yourself short and think that you can only be ONE thing in life. You can be many things in life. But most importantly, you can be whoever you want to be. American Folk Songs Be Whoever You Want To Be Big Rock Candy Mountain CD Big Rock Candy Mountain Review Catherine Britt Finding yourself Jay Laga'aia Who Am I Beyond a Mother? Who am I? You go girl! By the way – i don’t think stay at home mums are lazy etc, i think they’re just lucky. I would love to be a SAHM. Enjoy it sister, no need to apologise.